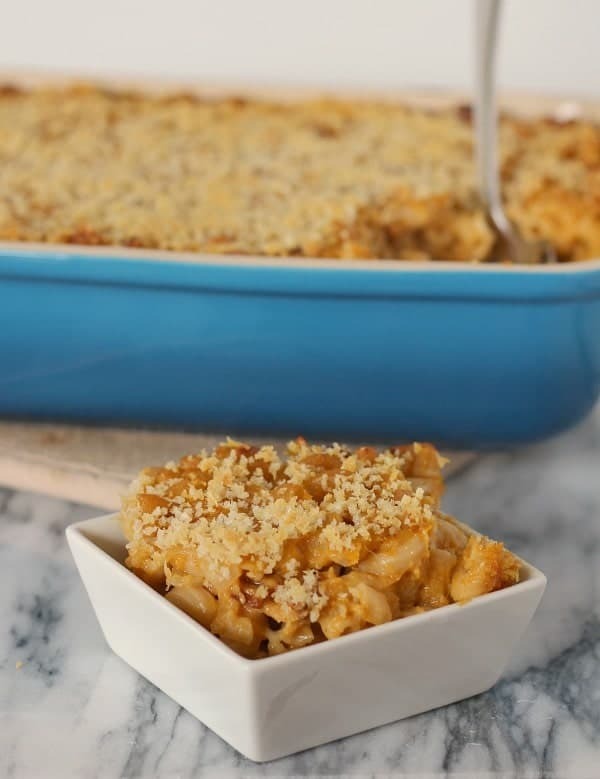 This pumpkin macaroni and cheese is kicked up a notch using bacon and caramelized onions but kept healthy but reducing the amount of fat and using whole grain pasta. Win-win! Does pumpkin stop being cool immediately after Thanksgiving? Not in my book. Especially when it’s involved with one of my favorite things — macaroni and cheese. Throw in bacon and caramelized onions and we’re pretty much in heaven here. Caramelized onions, you guys! I think they definitely make my list of all-time favorite foods. I could eat them on their own. Give me a fork and I’m all set. Heck, maybe I’ll just use my fingers. 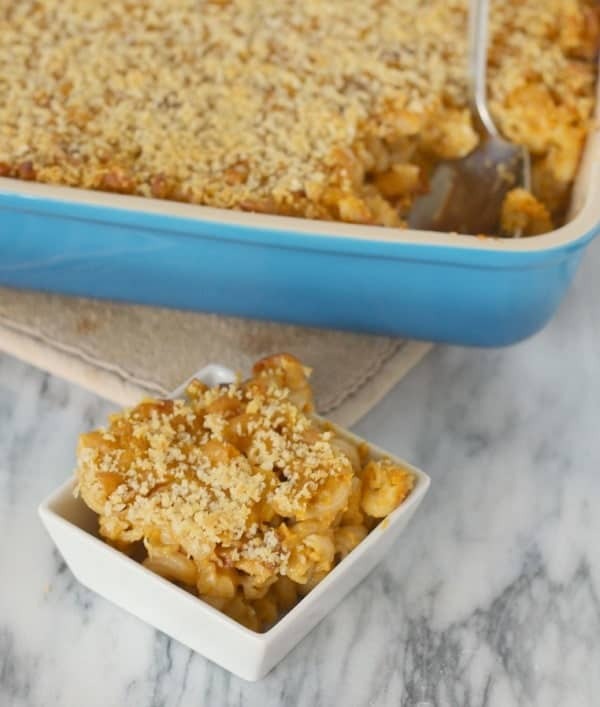 Another great thing about pumpkin in this recipe is that it gives you the creaminess every good macaroni and cheese recipe needs but without the added fat. Not only does it not add fat, but it’s also lending some great nutrients. Pair it with hearty whole wheat pasta and you’ve basically got health food. If you can look past that pesky totally-worth-the-splurge bacon. I adapted this macaroni and cheese recipe from Erin of The Law Student’s Wife. If you haven’t been to Erin’s site, you need to check it out, stat. As soon as I saw this recipe, I knew it would be happening asap in my kitchen. I made it for some of my friends for a play date. Now they won’t come over unless I cook. But I can’t say that I blame them. I ate about as much macaroni and cheese as all of them combined. 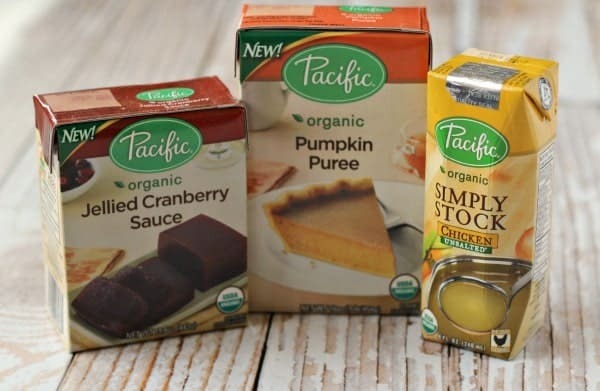 For this recipe, I used Pacific Foods Organic Pumpkin Puree and Pacific Foods Chicken Simply Stock, both of which come in Tetra Pak packaging rather than cans. I’m really excited to tell you about Tetra Paks but also to offer this amazing giveaway (read on for more details on that). I love that with the Tetra packaging you don’t get that tinny taste of food that is packaged in cans. And I love that when it falls out of my cupboard it won’t break my toes. And it doesn’t fall because it is smartly packaged in a rectangular shape that stacks. For someone who is low on space, this is nearly as (or more) important as the fact that they are recyclable and even if you choose not to recycle, these take up less room in landfills. 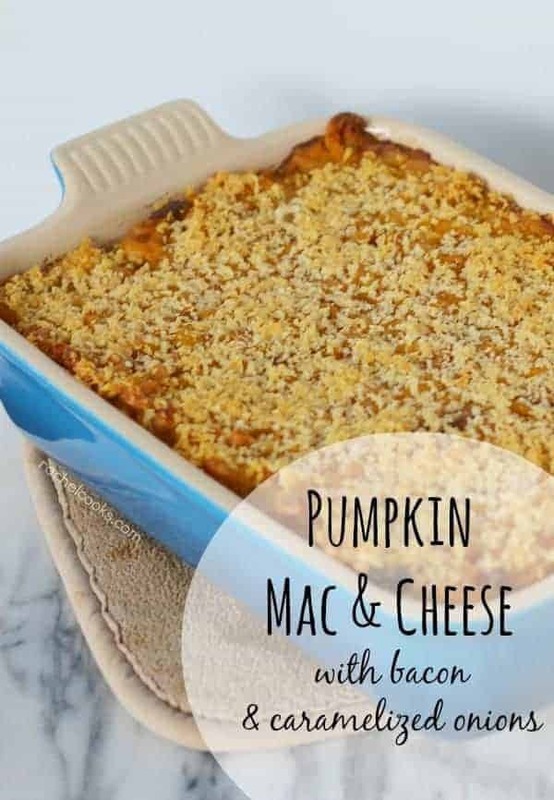 This pumpkin macaroni and cheese is kicked up a notch using bacon and caramelized onions but kept healthy but reducing the amount of fat and using whole grain pasta. Preheat oven to 375 degrees Fahrenheit. Line a baking sheet with foil and place bacon slices in a single layer on lined baking sheet. Bake for 20 minutes or until crispy. Remove from oven and place on a paper towel to cool and remove grease. When cool, chop into bite-size pieces. Meanwhile in a large, deep skillet, heat 2 teaspoons of the extra virgin olive oil over medium-high heat. Add onions and 1/4 teaspoon salt and saute until onions begin to soften, or about 4 minutes. Reduce heat to medium low and continue to cook until caramelized and brown in color, at least 30 minutes or up to an hour. When finished caramelizing, place in a bowl and set aside. In the same pan, melt 2 tablespoons of butter. Whisk in flour and cook for 1 minute, whisking continuously. While whisking, add stock, milk, and pumpkin, nutmeg, cayenne, and dried mustard. Bring to a boil over medium-high heat. Reduce to medium and simmer until slightly thickened, 5-8 minutes. Remove from heat and stir in cheddar cheese until melted. Meanwhile, bring a large pot of salted water to a boil and cook pasta as directed on package. Drain pasta and return to pan. Pour cheese sauce over pasta and fold in onions and chopped bacon. Spray a 2-quart casserole dish with non-stick cooking spray. Pour pasta into this dish. In a small bowl, combine pecorino cheese, Panko breadcrumbs and 1 teaspoon olive oil until everything is well coated with oil. Sprinkle evenly over the pasta. Cover with foil and bake at 375 degrees Fahrenheit for 20 minutes. Remove foil and cook for another 35 minutes or until golden brown on top. Let rest 5 minutes prior to serving. Verdict: Loved this. Definitely will be making again. Husband’s take: He was lucky enough to get some leftovers (my friends eat like birds, seriously) and he loved it as well! Changes I would make: None are necessary at all! Difficulty: Moderate — only because of slightly increased prep time and orchestrating everything. Read the recipe through before beginning and you’ll be all set! 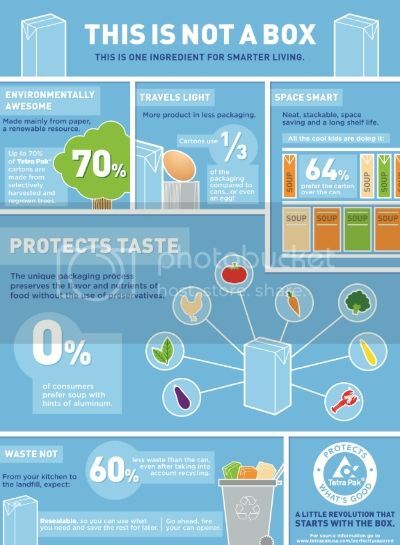 Want to learn more about Tetra Pak packaging and becoming Carton Smart? Read on! I love this new, convenient carton packaging. Rachael, I won this giveaway….I want to thank you so much…I love your blog post and get your post via email….I just received my gift card. I chose The Breast Cancer Foundation for my charity donation.. I am a 10 year Suvivor ! So that is dear to my heart. I use almond milk from a carton to make fancy lattes at home that save money. I cook chicken breasts in chicken broth from Pacific when cooking enchiladas to lock in the moisture without compromising chicken flavor. ty for the giveaway! I love making pumpkin pancakes with pumpkin puree in a carton as well as using stock from cartons for the base of soups and sauces. The carton is AWESOME because I can use however much I want, seal the top, and put it back in the fridge for use later which saves me time and money. I use boxed broth when making rice, chicken broth when making chicken fried rice ect. I like to use stock in cartons to make white chicken chili! After Halloween don’t throw out your pumpkins! Roast the seeds and the flesh! We try to reduce waste wherever we can. We use cloth shopping bags, and buy mostly whole ingredients. We stay away from processed boxed foods. What waste we do create we recycle. A local company has made it easier as we only have to have glass separated. Plastic, paper, tin, and aluminum all go in one bin and if we take it in ourselves it is free. Anything that can be composted is. I use Pacific’s chicken broths all of the time as a great base for soups. Less wasteful, organic and yummy! I use chicken broth from cartons to make skinny mashed potatoes, chicken gravy and chicken mushroom sauce to pour over swiss baked chicken. I also use beef broth in the carton to make several winter soups (i.e., split pea soup, etc.). I love the cartons as they are easier to store in the refrigerator if I don’t use all of the broth during one meal as well as the cartons are easier on the environment and do not give a funny metal taste. I love the fact that there now is a pumpkin puree in the carton. I love pumpkin all year long. I love using broths/stock in the tetra packs! It’s so convenient for when you only use part of the carton and need to save the rest without dirtying countless dishes. I make a simple, yet delicious, meal using broth/stock from a carton. I boil a bag of noodles and add canned chicken (usually from my mother-in-law) and chicken broth. If I want a casserole, I may add sour cream or a cream-based soup, also. If I want soup, I can chop up whatever vegetables we have on hand (onions, carrots, celery). This meal is versatile–I can do anything I want with it. Love the broth in a carton–it’s just the right amount for us! I use broths that come in cartons, I love that they can be recycled and they are great to store in the fridge as well, I also love tomatoes that come in cartons for the same reasons,I think the taste is fresh and better ! I keep stock in the carton in the fridge to use for couscous, rice, soups, crock pot cooking, etc. When I purchase a can of stock I tend to throw out the leftover stock because I’m too lazy to transfer it to another container for fridge storage. I’ve always used the chicken stock in cartons for my chicken soup. And the turkey stock for gravies. I use tomatoes in cartons to make quick and simple homemade pasta sauces. An easy & great appetizer is hummus with veggie sticks. Celery, cucumber, carrots, bell peppers don’t come in any packaging. 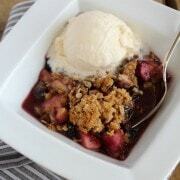 I saw this recipe on Erin’s site as well, and it’s also on my list! Awesome giveaway as well! I grew up drinking milk from tetra-packs, since back home they don’t sell milk in the refrigerated section. Parmalat was the brand we always had and it was awesome to always have milk available whether in the fridge opened or unopened in the pantry! I know still stock milk in tetra packs in the pantry as back up! I use tomatoes in cartons to create simple pasta and pizza sauces. When making dressing for chicken and dressing, I use chicken stock from a container if I don’t have enough from preparing the chicken. I use broth in cartons for EVERYTHING! couscous, quinoa, rice, soup. Almond milk for smoothies and muffins. -Beat cream cheese in a bowl with electric mixer until smooth. Add pumpkin, milk, pudding mix, cinnamon and ginger. Beat for 1 minute or until smooth. Mix in 1-1/2 cups whipped topping. -Divide pumpkin mixture equally into 8 small dessert containers. Top each one with remaining 1 cup whipped topping. -Cover and refrigerate for about an hour. -Before serving, top each serving with crushed cookies. Entertaining tip for lest waste: Use vegetables from farmer’s market or that you have to cut yourself instead of buying vegetables in prepackaged plastic bags! I like making soup by sauteing onion, garlic and whatever is in your fridge. Carrots, spinach, bell pepper, mushrooms. Add frozen tortellini to boiling chicken broth and you have a quick, delicious soup. I use the carton chicken broth when making all my soups (which is a lot this time of year). 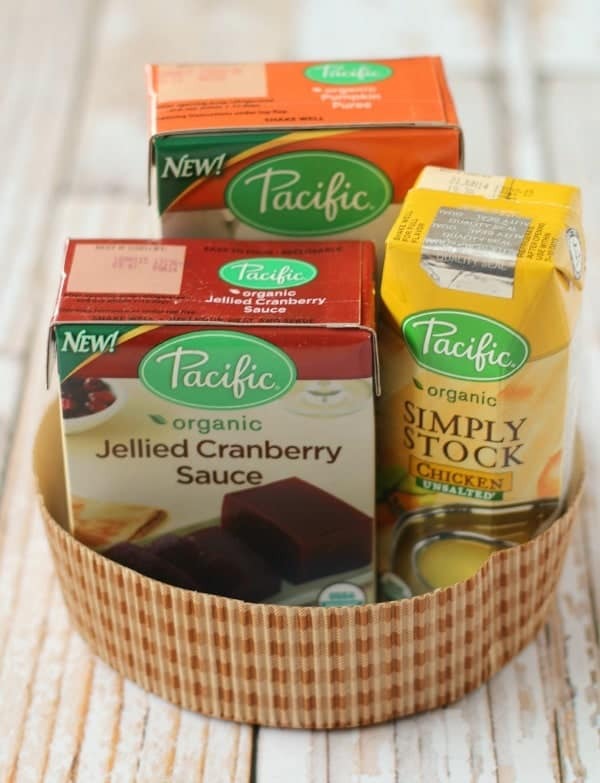 I love the Pacific Brand. I make an easy lentil soup with boxed broth. I sautee carrot, onion, celery and red pepper, then add a large box of vegetable broth and a large chicken broth, some thyme, and a bag of lentils and a bag of pearled barley with salt and pepper. Cook until desired consistency! So easy and so good!! I’ve used broth from tetra packs, and sometimes tomatoes, too. try to keep things simple when entertaining so you can have time to visit with your guests. if you’re hovering over the stove top and oven all night, you may never see your guests. I love using almond milk as well as boxed broth and purees. It’s much easier and convenient to use rather than having to use can openers and tupperware for storage after opening canned goods. The carton of pumpkin reminds me of the tubes of tomato paste. Sometimes you only need a little bit so it’s a waste to open an entire can! It’s perfect for all of the pumpkin recipes around the holiday time! Hi : ) I use carton coconut/almond milk to make my favorite blueberry almond baked oatmeal, and for cereal, any recipe that calls for milk,, pumpkin to make muffins and or pumpkin spice baked oatmeal, chicken broth as a base for so many things, carton eggs for scrambled or baking – I could go on and on! But here is the oatmeal recipe that is currently my favorite breakfast! Mix all together and put in oven safe ramekin – bake for 20 minutes – eat! Yum! we buy our vegetable broth in cartons and keep it in the fridge using it several times a week in our savory recipes instead of water. It gives a richer taste and the carton keeps the broth fresh for a longer time. Best of all, no tin can taste!! I didn’t know so many products were available in cartons! I like to use “stock in a box” and sometimes liquid egg substitute in a carton but will definitely keep my eyes open for these other products! 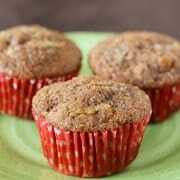 I use cartoned pumpkin puree and a box of spiced cake mix. Mix them together, it will be a thick gloppy mess, but once it bakes in the oven for about a half hour at 325 degrees, it makes a delicious cake that doesn’t need frosting and is great for dessert or morning coffee. I used part of a carton of Pacific Vegetable Broth just today. Here’s what I made: I took three lovely yellow squash and cut them down the center then in 1/2 inch half moon pieces. I heated up my rather large non-stick stew pot then put in a small amount of olive oil and about a third of a grated onion (not much), I browned the onion a bit then added the squash and browned some of the pieces a bit in the oil. Then I added a pint of fresh mushrooms (cleaned and cut it to large pieces or simply halved). I moved this around in the oil a bit to give it some color then added about 1/2 cup vegetable broth and an entire bag of fresh spinach, coarse ground pepper, garlic powder and kosher salt. Popped a lid on and let it cook down for about half an hour. I lifted out the vegetables with a slotted spoon and served it over jasmine rice – very yummy. Made up out of my head and available ingredients just today. After eating tomato soup I wash the carton that it comes in and give it to my 2 y/o granddaughter so she can “cook” with it. I use the chicken or beef broth in the cartons. I typically don’t use all of it in one recipe, so I always write the date that I opened it on it with a permanent marker before I put it in the fridge. This was I know how long it’s been there when I go to use it again – because I always do the “smell test” and never want to chance it. One less thing to worry about when raising a 3 and 1.5 year old. Use cartoned stock to make quick and healthy soups. Love making Hot Chocolate using Almond Milk. Just heat milk and add good quality chocolate. Make it a mocha by adding instant espresso powder. During special occasions, I love using cartooned wine when making a batch of Sangria! And for everyday I use vegetable and chicken stock from cartons. Thanks for introducing us to these products! My 2 yr old loves puréed pumpkin. Like…cold. Plain. With a spoon. The boxed variety makes it so easy to keep on hand in the fridge without using additional containers. We used boxed broths to cook rice, pastas, quinoa, and barley. I buy egg mixers in the carton. it works great for scrambled eggs with mushrooms,tomatoes,onions,basil, cracked pepper and cheese! I like to make a larger amount and have throw away tupperware ready to give out left overs! I buy almond milk in cartons which I use to make smoothies for my children’s lunches. Almond milk, frozen bananas, peanut butter, and Cocoa make for a yummy protein filled meal. I use coconut milk for coffee when entertaining. 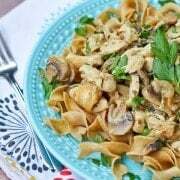 It is great for vegan guests and can be saved right in the carton. Thanks for the giveaway chance! I like to roast two whole chickens stuffed with lemons and oranges. We have one for dinner and cut up the chicken for the other to make chicken soup with boxed stock and some per sliced veggies. If I’m not in a hurry, I use the carcasses to make my own stock for later. One of my favorite side dishes is couscous. Simple and with very little waste. Just some carton stock, I usually use chicken with some seasons, bring to a boil, and then add the couscous and cover. You can make it vegetarian by using vegetable stock. It has a lot of flavor too. I was just making chicken and chickpea soup with Pacific low-sodium chicken broth tonight and noticed the little Tetrapak symbol on there for the first time! So funny you just posted about it! We like using carton miso ginger broth to make quick noodle tofu soup. We have soup and wine in fancy boxes like this but that’s it. One day these yummy things will find their way down here. 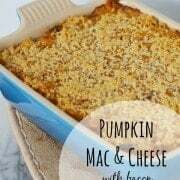 I LOVE your pumpkin mac and cheese. My smart recipe this time of year is Fried Brie with hot cranberry sauce, I use cartoned cranberry sauce in place of fresh ones because the weather is horrendous here and I do not want to run to the store! I also use cartons of pumpkin in my pies and cartons of broth in my stuffing recipes. 1 x 250g carton cranberry sauce. For the fried Brie, place the flour, eggs and breadcrumbs in three small bowls. Dredge the Brie in the seasoned flour, then dip into the egg and then dip into the breadcrumbs to coat. Repeat the coats of egg and breadcrumbs to form a thick coating. Fry the Brie for three minutes until crisp and golden. Remove the fried Brie with a slotted spoon and drain well on kitchen paper. For the sauce, warm the cranberry sauce through in a small saucepan over a medium heat and season to taste with salt and freshly ground black pepper. To serve, pour the warm cranberry sauce on a plate and place the fried Brie on top. Using stocks or broths that come in cartons allows me to keep in the fridge for longer without dirtying additional bowls/tupperware.